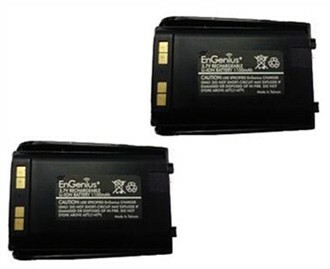 The Engenius FREESTYL1BA is a replacement standard battery for the FreeStyl 1 handsets only. It features Lithium technology ensuring maximum battery life and maximum power. The Engenius Freestyl1BA (2 Pack) has many exciting features for users of all types. You can extend the lifetime of your Engenius Freestyl1BA (2 Pack) with the purchase of a FactoryOutletStore Factory Protection Plan. The Engenius Freestyl1BA (2 Pack) is sold as a Brand New Unopened Item.